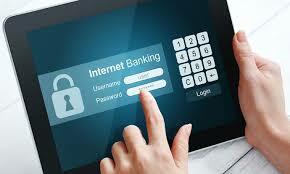 Home » HOW TO , VERY IMPORTANT KNOWLEDGE » How can your bank account with internet banking facility can be hacked? How can your bank account with internet banking facility can be hacked? 1. Hacker accesses your name and date of birth from Facebook. 2. With these details he goes to the IncomeTax site and updates them. From there he obtains the pancard and mobile numbers. 3. Then he gets a duplicate pancard made. 4. After this he lodges a mobile theft complaint in a police station. 5. With the duplicate pancard he gets another simcard from the mobile company. 6. Through internet banking he is now ready to access your account. 7. He goes to the site and uses the forgot my password option. 8. Now he easily gets past other options and gets the Internet banking pin on his simcard. This information was issued by the Cyber Cell Police. All those who used Net Banking are requested to edit Facebook profile and delete the birth date and mobile no. as a safety measure. Pl share to as many people as possible .